Maple Leafs Sports and Entertainment (MSLE) has launched major updates to the Toronto Raptors and Toronto Maple Leafs mobile apps. The updates include new features like Waze integration, augmented reality, indoor mapping and mobile ticketing. The apps first launched back in March of 2017 in a partnership between the MLSE and app maker YinzCam. Since then, both apps have been updated numerous times, with even more features planned down the road, according to MLSE. Waze integration is a new feature that allows the MLSE to update Waze maps on game days with road closures and other game-day related information, such as traffic and where to find open parking spaces. This feature utilizes Waze’s Global Event Partner program, which works with large scale venues and events to help manage the influx of traffic they bring in and the associated hassle related to finding parking. The new team apps link to Waze so that they’re able to run within MLSE’s team app. It’s worth noting that users still need to have Waze installed on their phones for it to work. “MLSE has a team in place thats going to be updating the map in real time in terms of road closures around the stadium,” said Mike Wilson the Waze country manager in Canada, in a recent interview with MobileSyrup. 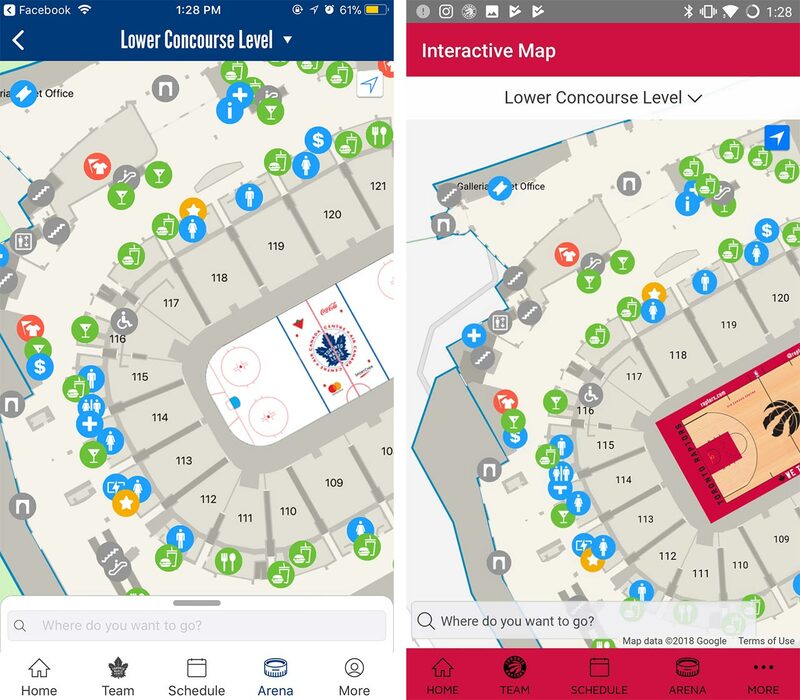 The next new feature, augmented reality support, is built into both apps and the Air Canada Centre (ACC). In the Maple Leafs app, AR works with a number of scannable areas, including tickets and murals inside of the arena. When users view an object that can be scanned by AR, they’re able to open up their team app and scan the item in order to access to a short video and exclusive merchandise offers. 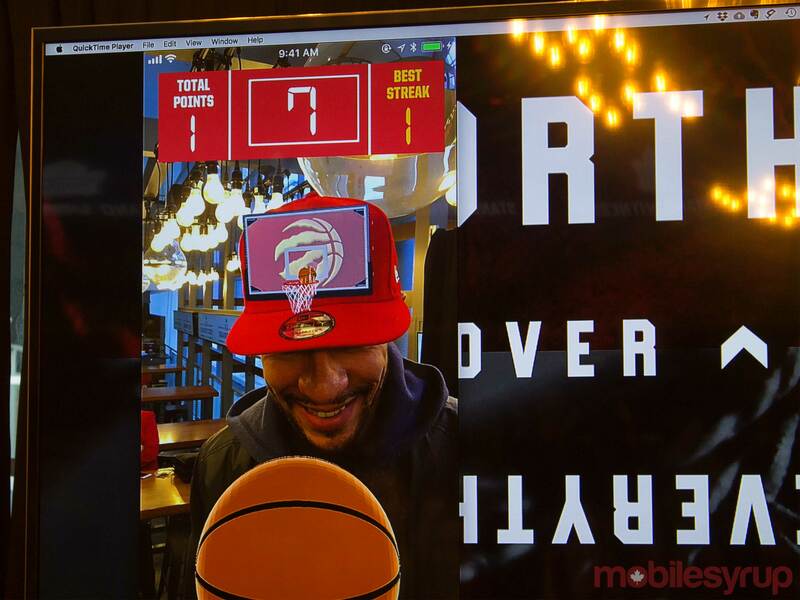 The Raptors app works by scanning any Raptors logo and playing the ‘Lotto Max AR Shooter’ basketball game that’s found inside the app. It also seems like this mini-game will be playable by the crowd at live games. Both of these AR technologies can be updated in the back end so users wont have to update the apps each time new AR functionality gets added to the ACC. Indoor mapping has been added to the apps in order to help visitors find their way to the nearest bathroom or hotdog stand. This feature runs off of Apple’s indoor mapping technology. Both iOS and Android apps include this feature, but iOS users are able to see a blue dot that signifies their location, while Android users cannot. The last new feature lets users buy tickets through the app and use their phones in place of an actual paper ticket. Fans can also use the app to upgrade their seats and manage their purchases, including selling their tickets. 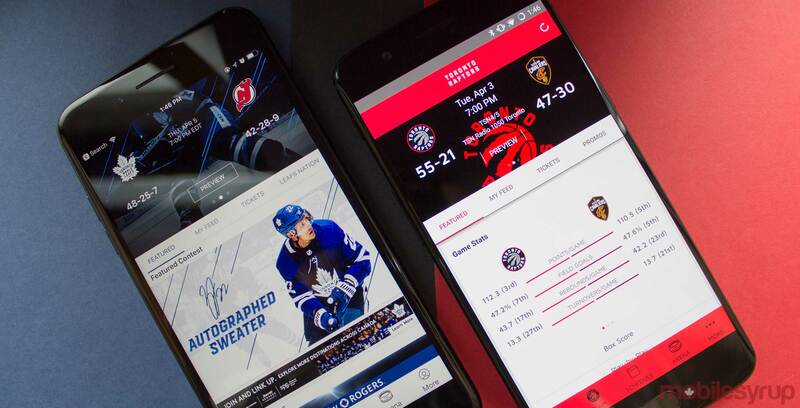 There will be more features coming to the app as well, with personalized content being high on the list, says MLSE. “So if you like Derozan, we’re going to surface up those highlights and if you like certain teams outside of the raptors we can mix in those content pieces in to your app so everyone gets a different content experience,” said Neem Ba Ha, the director of product development, in an interview with MobileSyrup. When asked about the stability of the apps, Ba Ha said that sometimes the platforms don’t run as well on older phones, but that YinzCam is working of fixing that issue. The Maple Leafs app can be downloaded for iOS and Android, while the Raptors app is also available on Android and iOS here.